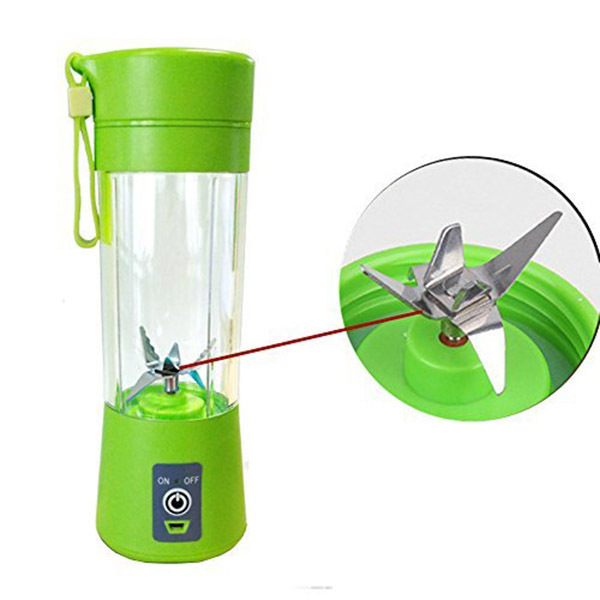 Blade Update for Superb Mixing – The updated version personal blender with six blades in 3d for superb mixing,which can effortlessly pulverizes fruits, vegetables into amazing smoothies .It doesn’t leave chunks of fruit and ice and no noisy like traditional blenders. USB intelligent Rechargeable&Portable – The USB juicer cup comes equipped with a built-in 2000mAh rechargeable battery that can be easily charged by power bank, laptop, computer, mobile phones or other USB devices . 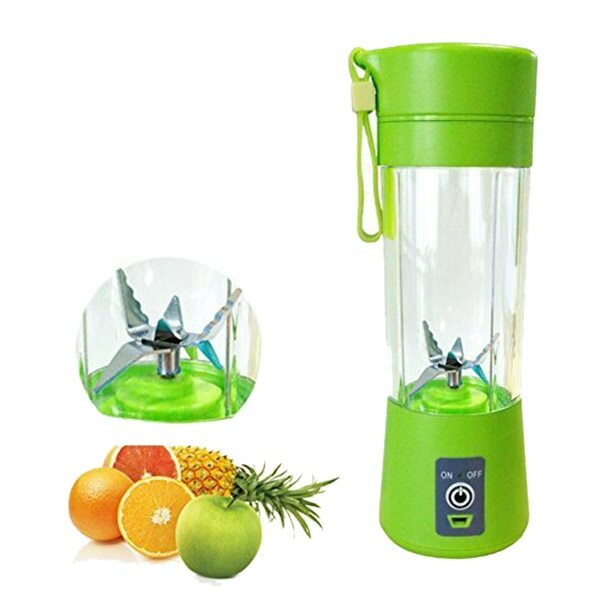 Easy and Safe Cleaning – It has have smart safety protection device, magnetic sensing switch ultra safe to use and clean, the juicer cup’s body and bottom can be separated, you can easy to clean it,Material Anti fall. 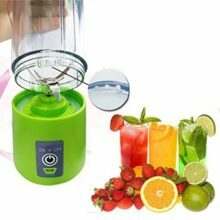 Multi-function – With our juice blender mixing kinds of fruit and vegetables,you can use it as water bottle, fruit and vegetable juicer, milkshake and other baby food, smoothies and jam maker,which allows you enjoy fresh nutrient retention and wonderful leisure time when you work, sport, hike, drive, travel, wild camping, picnic. 1. Prepare the fruit you like, cut them into 1.5cm. 2. 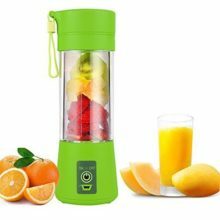 According to your personal taste, add water or milk to 30%-60%, put the fruit in and make them lower than 80% of the bottle. 3. Press the button. 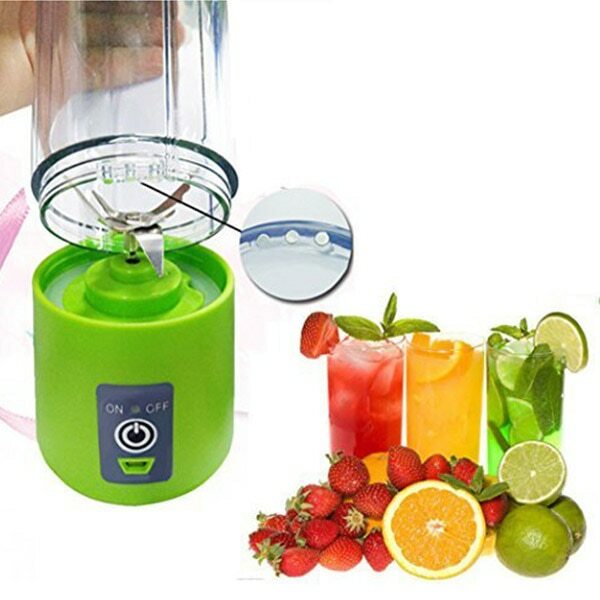 It takes 1 min to 3 min for tasty juice base on the softness of fruit. 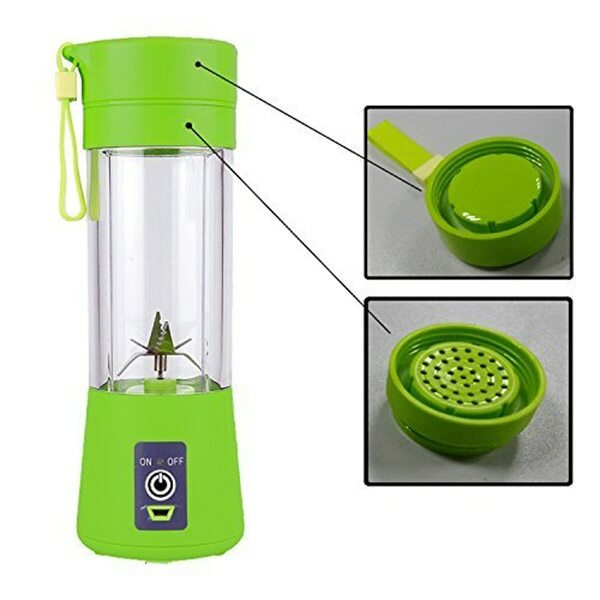 Gently shake the bottle at 10 sec to make it more delicious. 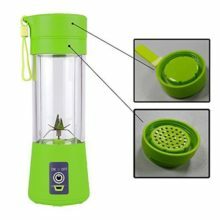 Before first use, it requires to charge about 3 hours with the usb cable before use. when squeezed fruit, need to add some water or milk, too much or big fruit pieces or without water may get blades stuck. Upside down the machine so that the blades can start to run, then you can turn it back. 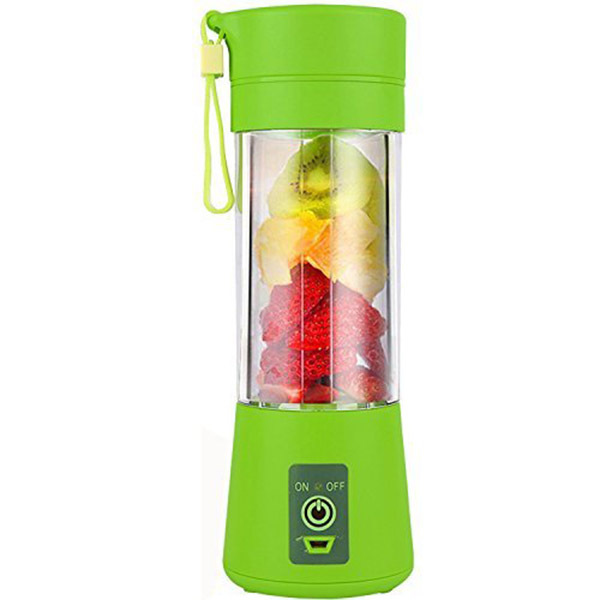 Do not open the lid during motor running in case the fruit particles splash out to hurt someone around. 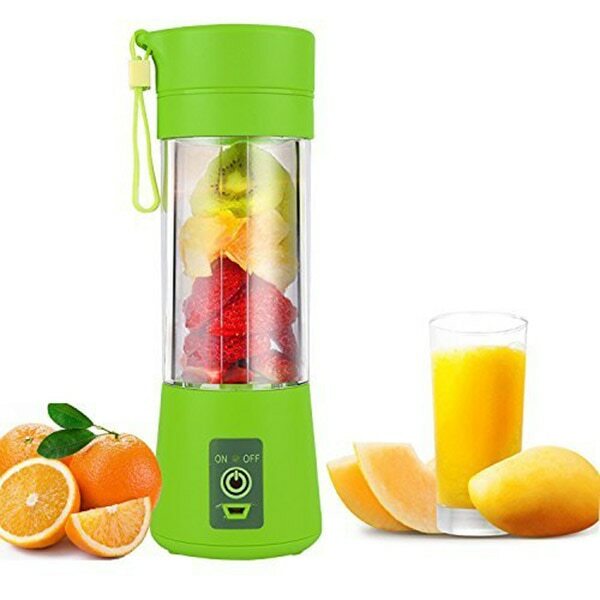 To control the capacity of juice under the 70%-80% cup body capacity is appropriate.